Supporting Excellence - World Class SOLIDWORKS Support. As a SOLIDWORKS customer of Solid Solutions, what quality of service can I expect from the Technical Team? You may have asked yourself this question or, even now, be pondering it before buying SOLIDWORKS software or renewing your SOLIDWORKS subscription contract. The honest truth is that, no matter how excellent the software is, and despite the SOLIDWORKS famed ‘ease-of-use’, you will still need our support to optimise your investment – from our Account Managers and our SOLIDWORKS Technical Team. What do you need from us to get your job done efficiently? When you hit a problem, or need advice, you need to speak to people who understand your issue and respond quickly. In these days of short product development times, tight budgets and product complexity, you are under pressure to deliver. Therefore, we do our very best to support you with both comprehensive knowledge from experts and a fast turnaround. Our knowledge is acquired by a policy of continuous learning - so we invest time and money in staff development. This is delivered by on-going in-house training and by setting competence goals for every engineer. Competence is measured by passing SOLIDWORKS certification examinations. There is a total of 45 discrete skill sets that are tested and points are awarded for passing. As well as thorough knowledge of core SOLIDWORKS, our engineers must also master Data Management, Simulation, visual communication tools and a variety of ancillary tools such as SOLIDWORKS Electrical, Inspection, MBD, Plastics etc. Our team competence, measured by both the total AND average certification points awarded, is greater than any other SOLIDWORKS reseller in the UK. This means we have more engineers with broad and deep skills who can support you. Furthermore, each of our engineers is challenged to become ‘Elite’. This qualification, awarded by SOLIDWORKS, is a mark of deep technical competence across the entire suite of software. Only engineers proving competence across the full range of tools are awarded the coveted Elite status. When you speak to our engineers on the Technical Help line, or receive on-site support, or access the content on MySolidSolutions, or ask us to help you with consultancy, you can be sure of getting expert help – not just at a cursory level, but in depth. As for responsiveness, we have always operated on the basis that if you need our help, you will want to pick up your phone and speak directly to one of our experts – without barriers: no ‘call receptionist’, no queuing, no tiered phone system – no delay. Therefore, when you call 01926 333777, or one of our Direct Dial support lines, you will speak directly to an engineer. We aim to respond to incoming calls within 20 seconds and we achieve this on a regular basis. Our Customer Support Managers monitor response time on a live ‘Support Dashboard’ to ensure that we provide not only excellent technical advice but are available and responsive to you when you call. This requires a significant team. We dedicate 14 engineers every day to the Technical Support line and a management support structure to help with problem escalation. How successful are we at ‘Supporting Excellence’? 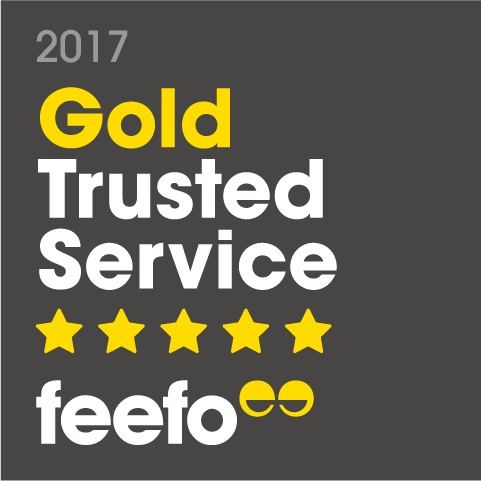 We value your feedback and measure your responses with the independent FeeFo feedback service. The satisfaction level we achieve (as of today and based on more than 2400 responses) is consistently over 4.7 / 5 meaning that you rate us as ‘excellent’ or ‘very good’ more than 94% of the time you contact us. You can see the latest Feefo Feedback from our web page. Of course, as well as knowledge and responsiveness we also hope we can deliver our service with a smile! We value our customers and hope you get great benefit from your support and our Technical team.